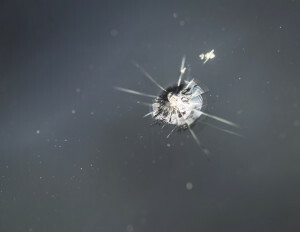 In another bit of coverage of the tensions between traditional businesses and mobile operators, the operator of a mobile windshield repair business has been accused of four Longmont, Colo., code violations, according to the Times-Call. Raymond “Rich” Smith has been ticketed and shut down once during his 10 years of fixing windshields from his vans, according to the newspaper. He bills $25 for the first chip and $5 for any extras. However, any mobile business that isn’t a food truck is illegal in Longmont, according to the newspaper. This story obviously is of greater interest to our cousins in the auto glass industry, but collision repair shops who do glass work should also take note. There is also merit to keeping an eye on how your city handles these kind of situations in general. These days, all kinds of “brick-and-mortar” companies are seeing increased competition from nontraditional sources who can avoid the overhead of a larger operation. These include hotels versus Airbnb, taxis versus Uber and Lyft, restaurants versus food trucks, and established collision repairers versus the guy offering to fix your dent in your driveway.